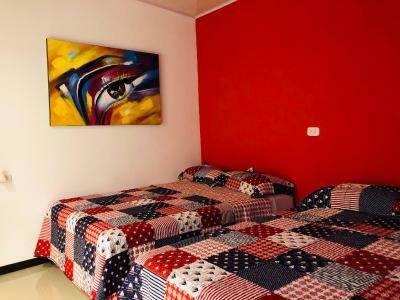 Lock in a great price for Millenium Hostels Manuel Antonio – rated 9.1 by recent guests! The location is fantastic! Right next to the park and so very easy to just get up and go in the morning. Despite being so close the hostel still feels like a little oasis. Also, George, the hostel manager, was EXTREMELY helpful in recommending tours, restaurants, etc. and even assisted us in booking them. He was fantastic! The location is ideal, steps to both the national park and the beach. Thé bed were very comfortable. Super clean and very well equipped kitchen. The location is incredible. I would definitely stay here again. Beds were very comfortable and thanks for the upgrade!!! everything was really amazing 👍🏼Staff is extremely helpful and friendly. They are very knowledgeable. Poolside is charming. Decoration is very tasteful. 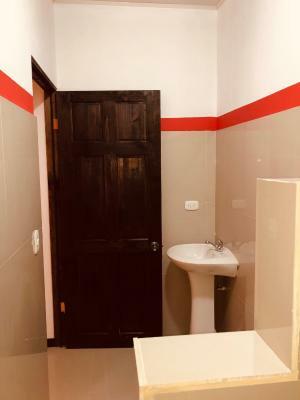 Kitchen is complete and super convenient- I would go back in a heartbeat- they are located at the entrance of national park and it’s a 5 min walk to the beach and restaurant, parasailing and surfing - this is for sure the best value for your money . Location to the entrance to Manuel Antonio National Park, very friendly and helpful staff, security at night closed the main gate. I read the reviews before making a reservation and I can confirmed everything I read was true. HONESTLY? The ONLY two things.. Being close to the beach and the pillows were actually really soft and fluffy. The entire staff was amazing!! From owner, to reception, to the cleaning crew, to security!! They really made my time there enjoyable! I lost my phone Saturday during my trip and Jorge and Gio really took the time to get me out of my funk and enjoy my last day at the hostel! I will totally recommend and hope to visit this hostel again! The internet pictures does not do it justice. The place is so beautiful and colorful and I'm excited to see all the changes upon my return to Manuel Antonio! Thanks for everything!! Much better than a hostel. 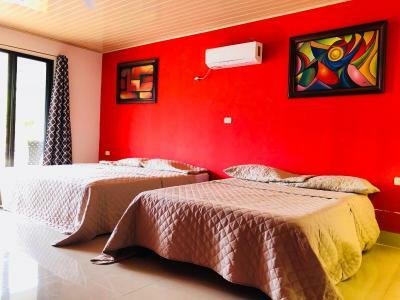 This is a boutique hotel, with very friendly staff, great garden space for relaxing, the pool is refreshing, and the kitchen is new, clean, and great spot for coffee. The location is great for the park and the beach. You can tell the place is loved. The staff was friendly and helpful. The location was ideal, we could walk to the entrance of the National Park. There were many restaurants around. I love that you can drink the water from the tap, so we filled our water bottles daily. Everywhere takes American dollars, which makes things convenient. This place is awesome and highly recommended. The staff is beyond helpful and incredibly flexible! One of our best sellers in Manuel Antonio! 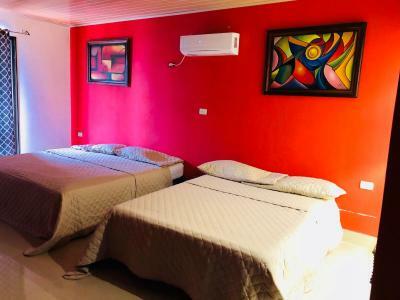 Offering a view of the national park, Millenium Hostels Manuel Antonio is set in Manuel Antonio in the Puntarenas Region, 50 feet from Manuel Antonio National Park. Free WiFi is offered throughout the property and free private parking is available on site. 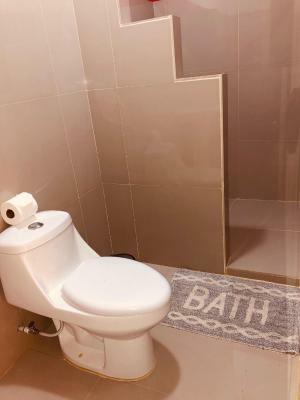 Certain units include a seating area for your convenience. A flat-screen TV with cable channels is available. Tickets to the Manuel Antonio National Park can be bought near the Hostel. A selection of activities are also offered in the area, such as snorkeling and hiking. 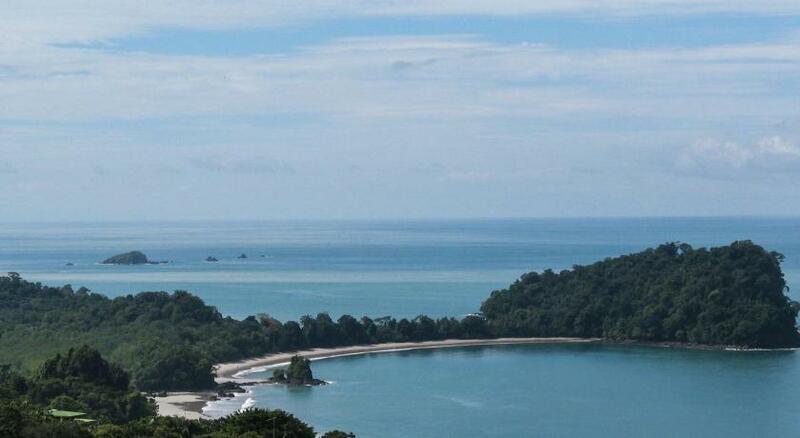 뀐 Located in the top-rated area in Manuel Antonio, this property has an excellent location score of 9.7! 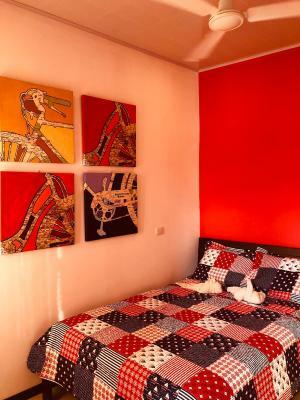 When would you like to stay at Millenium Hostels Manuel Antonio? This double room has a balcony and seating area. 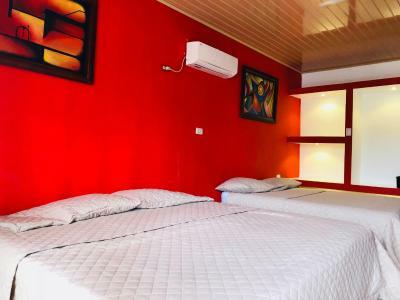 This triple room features a balcony, cable TV and private entrance. This quadruple room has a balcony, mountain view and private entrance. 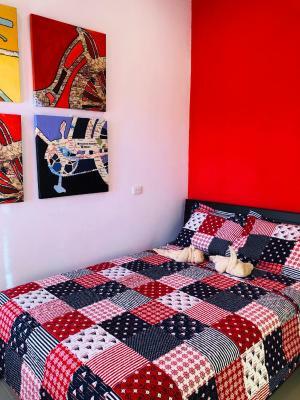 House Rules Millenium Hostels Manuel Antonio takes special requests – add in the next step! Credit Card is only for guarantee, the property receive cash only as a payment method. The rooms upstairs felt a little unstable as the constructions look cheap. 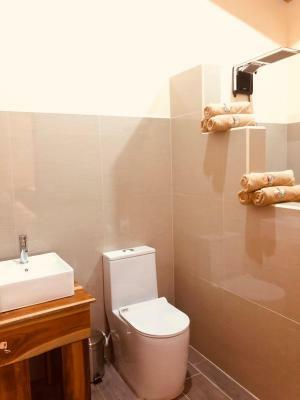 The main photo on booking.com is a click bait, the stunning beautiful room doesn’t exist, at least not there.... why put a fake picture on the website?? The property is cool and beautiful so why lying? The property is right next to Manuel Antonio so you don’t need to pay parking or taxi to get there. Staff is super friendly and helpful. Kitchen is clean and good looking , pool and jaccuzzi are nice too. amazing staff. best part of it all. 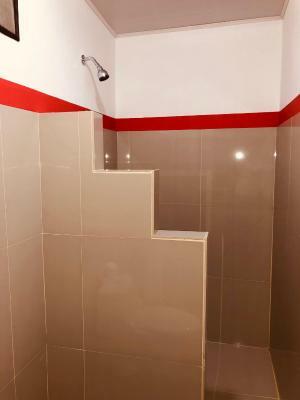 The bathroom and bedroom could have used some more places/surfaces to put things. While there was a wardrobe, there was no where besides a small bedside table to put other items (such as toiletries, etc). ALso, the wifi did not work for the majority of the time that I was there- but this was perhaps poor timing as there was construction at the hostel during this time. Finally, the advertisements online said breakfast was available but it was never offered when we arrived, and it didn't seem to be an actual service. There is a locker shortage in the dorm, so I kept my valuables at the reception. This is a real gem - stylish, very close to MA Park, and real clean. I loved the colors and the design. The staff is incredibly kind and helpful, I felt myself at home! The air conditioning turns on only at night and it is not overcooling, just perfect. I loved the pool, the jacuzzi, the kitchen, the music. This hostel is nice in so many ways. 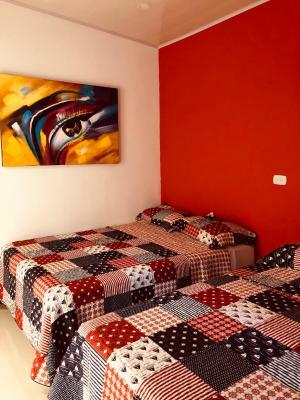 Superfriendly staff, relaxed athmosphere, nice pool, a kitchen and a good room with balcony and comfortable bed. And of course the location - just steps away from the National Park and five minutes to the beach. Highly recommended hostel. 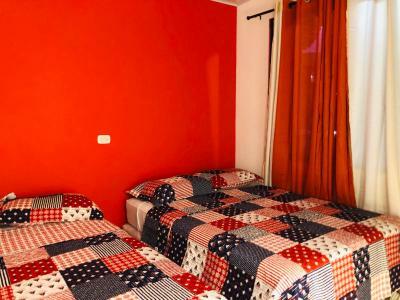 The hostel is just located next to the national park and close to the beaches. 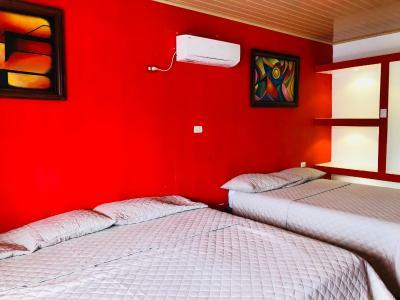 The hostel has a great atmosphere and vibe and also offers a Pool. The staff was very friendly and helpful. Location is perfect: 1min walk to the entrance to Manuel Antonio, 7 min walk to the beach. Too many people in the park. 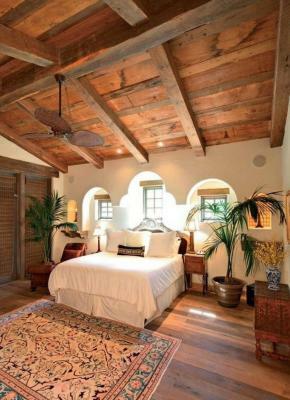 I would just add an extra lamp by the bed and a table in the room, but no complain. This is just “productive comment”. Nothing negative! Staff was friendly and accommodating and very helpful!!!! Offered tips and advice when needed! Maybe just add some street signs that direct you from the bus stop to the hostel! But really good quality of service and place! So this place is an absolute gem! Location location location. So close to the park’s entrance, easy access to the beach. Quiet and relaxing at night, comfy beds and so easy to meet other travelers while lounging by the pool!